I personally have called for such a system to be put in place to combat the horrible acting jobs that we witness by NBA players on the court. There’s a reason why they are professional athletes and not professional actors. Though it would be funny to have an ESPY category for flopping and hear “Best Actor in a Flop by an NBA Player is *drum roll*…..Manu Ginobli!”. But seriously, I’m personally happy the NBA has implemented such a rule. I always said the NBA should fine/suspend players for excessive flopping but never really thought it would happen. The reason being is because it is such a slippery slope. First, what is the definition of “flopping” (yes, some are blatantly obvious, but in many cases they are not and it’s up for interpretation). Second, what is an “acceptable” fine? Already, there are grievances and appeals that have been or will be filed by the NBA’s Players Union about said fines, for the Player’s Union feel they are not fair penalties. Lastly, how many games are players going to be suspended? Will the violations reset themselves when the playoffs start (similar to the Technical Foul rule)? It would be a shame for a Kobe Bryant, LeBron James, or Kevin Durant to get suspended in a crucial playoff game that can completely alter a team’s chances of success and maybe change the course of NBA history because of a flop, wouldn’t it? However “sticky” I thought the logistics might be in implementing such a rule, the bottom line is the NBA has in fact done so and it is probably here to stay. Overall I believe this new rule will have a net positive effect on the game. 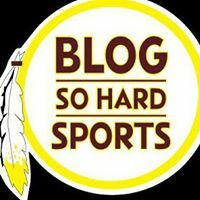 When players pretend to get hit or bumped and fall comically to the floor, basically what that player is doing is lying to the referees and fans. And when successful, that “lie” benefits one team while hurting the other team, this is known as “cheating”. So even though most of the time flopping doesn’t affect the overall outcome of a game and lots of times the spectator and announcers kind of just roll their eyes and maybe make a joke about it, it is still lying and cheating. So whenever you can eliminate an element of “lying and cheating” from a sport the better it is for the sport. Over the course of NBA history there have been many great floppers. Some obviously were a lot better than others. A player becomes a well-known flopper for two reasons. Either the player is extremely good at it and his acting skills are on par and he gets away with it the majority of the time or the player flops often but he completely fails at selling it, each and every time. With the latter, people are laughing at the player, not with him (I’m looking at you Anderson Varejao). The Phantom this is when a player pretends to have been struck (normally in the face) by an elbow, shoulder, or forearm when in fact no such body parts made any contact, whatsoever, with said player. The Anti-Physics Flop – this is when a player, while so caught up in selling a flop, forgets the laws of physics. For example, a player “supposedly” gets struck on his, let’s say right side, but then flails backwards, or forwards, or even to the right rather than the direction that the laws of physics says he should fall over and that’s to the left. The Leprosy– this is when a player seems to have, all of a sudden, lost all function of their limbs (normally their legs) and either drops or keels over to the floor in great agony like they are all of sudden suffering from Leprosy. Sniper Fire – “Is there a sniper in the building?! ?” This is when Seal Team 6 is apparently at the game and hiding in the rafters. Players stiffen up and give their body this recoil “snap” like they have been struck by gun fire and fall back, or they flail their arms outward and spin their entire body in a 360 degree spin, like extras getting shot in a bad 80’s action movie. Now that you have been informed on some of the different kinds of flopping and my humble opinion on the new rule and fines, here is a top 10 list of funny/outrageous flopping moments (keyword being “Moments” not “players”) in modern NBA history. 10. I’m starting with this James Jones flopping moment, not so much because the flop itself was so funny or outrages but more so because of the two minute rant NBA broadcast announcer Jeff Van Gundy gives after the flopping occurs. JVG pretty much sums up my entire point nicely. Thanks Jeff. 9. I like this flop because Omer Asik gets bumped and half way through the bump he decides “you know, I’m going to do it. I’m going to flop on this. Okay 1-2-3 flail arms and keel over”. Omer acts like he’s in an episode of OZ with Jodie Meeks coming over bumping him and discreetly stabbing him with a shank and then briskly walking away. 8. This one from Baron Davis is great because he doesn’t just commit to any one kind of flopping. I think he incorporates about three different kinds of flopping in this clip, from The Phantom, to The Leprosy, and a little bit Sniper Fire thrown in for good measure. What can I say, Baron’s talented, a triple threat as they say in the industry. 7. This flop by Kirilenko is a classic and textbook Sniper Fire. Though I could be wrong. It might just be the fact that Kirilenko had his face in the armpit of a man that has been sweating heavily for 3 hours. 6. With this flopping clip you get a 2 for 1 (Raja Bell and J.R. Smith). This is what happens when two flopping Titans collide. 5. What I can appreciate with this flop by LeBron James, is the fact that when it’s over and LeBron gets the call, he stops acting and moves on. He knows what he has done by giving a wink (like he got away with something, well because he did) but moves on. He doesn’t try to continue to sell it afterwards like the flopping clips that are to follow. 4. In this LeBron James flop clip, there’s elements of Sniper Fire, Anti-Physics, and The Phantom. The Phantom is because no contact occurred that would knock a 6’8 250lb man over. Anti-Physics comes into play because once again not enough force was applied and applied in that particular direction that can knock over such a heavy object like a rag doll. 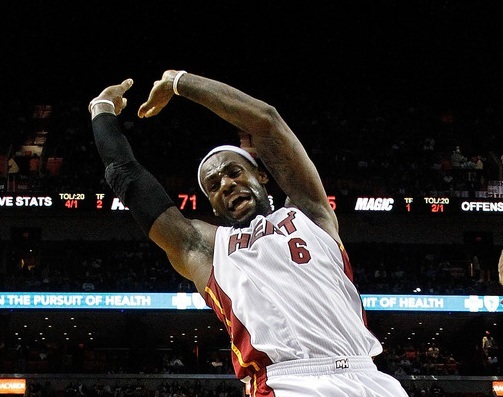 LeBron’s flailing of the arms and 180 degree spin are classic symptoms of Sniper Fire. 3. The reason why this flopping moment is one of the best is because it’s a three part flop. Tony Allen gets struck by a Phantom, gives his initial flop performance, temporarily stops to see if it “worked” and once he knows it did work and he got the call, he dramatically goes right back into character and falls on the floor holding his face. Come on Tony, stage acting 101, never break character, never. 2. This flopping moment isn’t the most comical or dramatic flopping on the list, however it’s high on the list because this particular flopping moment is of great significance. This is Reggie Evans. Reggie will forever be known as the first NBA basketball player in the history of the NBA to be fined for being a liar/cheat with his flopping antics. Reggie Evans was fined $5000.00 earlier this season. I know what you are thinking, “wait, you don’t get fine until your second violation”. Exactly, this means Reggie already got an official warning from the league before the flop in this clip. In one ear and out the other I guess. 1. Now, it’s time for the #1 funny/outrages flopping moment in modern NBA history. The honor goes to Chris Bosh. This clip will not help him shake Charles Barkley’s insinuation that Chris Bosh is soft after Barkley gave him the nick name Bosh Spice. Like some of the other clips on this countdown he has the ever comical Sniper Fire and The Phantom symptoms, however what makes this the best flopping moment is how extremely late Chris Bosh is to reacting to the phantom elbow. It’s so delayed; I think we also need to set up penalties to fine referees if they are actually dumb enough to fall for such amazingly horrible acting jobs (it’s only fair). The other thing about this flop that separates it from the rest is how absolutely committed Chris Bosh is to the fact that nothing but air hit him in the face. For several minutes he is grimacing, touching his nose to “make sure it’s still there”, and blinking really hard. After nearly being “knocked unconscious” from the draft of wind that came from Carlos Boozer elbow, he all of sudden has recovered enough , to make an incredible post move to spin base line for an up and under score, I’m talking foot work not seen since Hakeem Olajuwon. But it doesn’t end there, after that sequence of events are over and he is going to the free throw line he is still grimacing and checking his nose. Talk about an actor’s commit to embodying a role. In the end, I don’t know if the new flopping rule and penalties are going to solve the problem. I know it definitely isn’t going too completely prevent flopping from occurring, but it can do two things. It can reduce the amount of flopping we see and, symbolically, I think it’s highly important for the NBA to make a statement that flopping is “not okay”.